At Jade Communications Inc., we have been the experts in "everything fiber optics" since 1987. 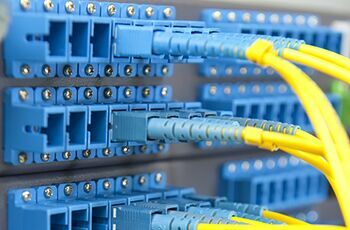 Implementation of fiber optic cabling systems and networks continues to trend well and we expect to remain an industry leader in this area of business in South Florida. We are headquartered in Boca Raton and diligently serve the fiber optic needs of our clients throughout Florida. The demand for high-speed data, voice, etc. continues to grow every year. Also, technology is expanding at a pace that is difficult for clients to keep up with. Make sure you have us in your corner to keep you ahead of the curve and at minimum abreast and up to speed.